An investigation was underway Thursday into a “landing mishap” involving a MV-22B Osprey off the coast of Camp Pendleton. 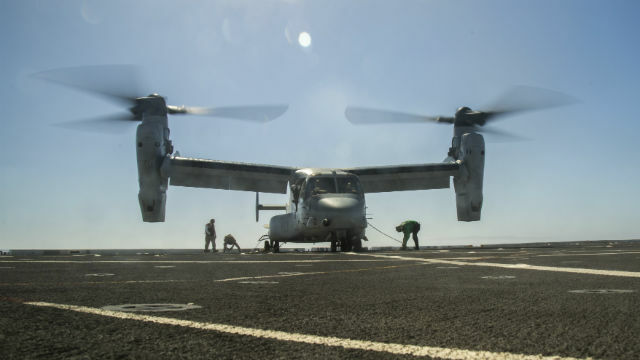 The tiltrotor military aircraft attached to the 13th Marine Expeditionary Unit experienced a landing problem aboard the San Diego-based San Antonio-class amphibious transport dock USS New Orleans on Wednesday. The training flight was being held prior to deployment with the Boxer Amphibious Ready Group, according to Capt. Brian Villiard of the 13th Marine Expeditionary Unit. No one aboard the Osprey or the New Orleans was injured, Villiard said.